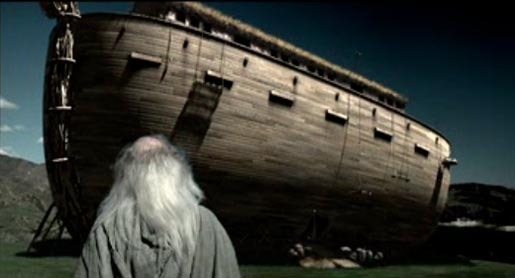 The St Paul, property and liability insurance company previous to its merger with Travelers Insurance, added narrative to their byline, “Consider it done”, with the story of Noah’s ark in January 2003. We’re shown that Noah’s promise to collect a male and female of every species was not easy to keep. The St Paul Noah campaign was developed at Fallon, Minneapolis, by copywriter Allon Tatarka, art director Todd Riddle and agency producer Joe Grundhoefer. Filming was directed by Craig Gillespie via MJZ, Los Angeles, with executive producer Lisa Rich, producer Brian Latt, director of photography Salvatore Totino. Animation for St Paul Noah was carried out at Sight Effects, Venice, by animators Michael Capton, Kim Dail, Dariush Derakshani, Steven McClure and Jason Mortimer, and producer Jeff Blodgett. The Noah’s Ark ad won an award for animation at the London International Advertising Awards, 2003. Editing was done at Terminal by Jonathan Del Gatto. Sound was designed by Tom Ozanich at Soundelux DMG, Los Angeles. Music was scored at Elias Arts, Santa Monica. St Paul Travelers was formed in 2004.